It’s the most hectic time of the year for ad operations. Here at Advalidation our servers are busy testing all ads scheduled to go live as Q4 comes to an end. 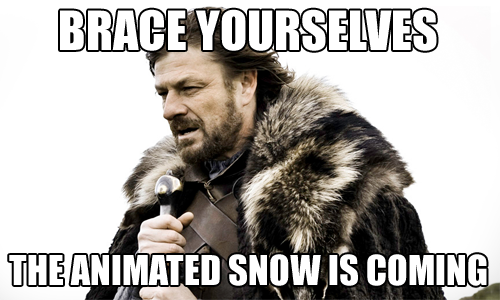 The first animated snow have started to fall in some of the ads we test and our forecasters predict that it will cause the same high CPU usage on web sites around the world as last year. Below is a CPU graph of some heavy animated snow fall in a 728x90 submitted for testing. If you're not already using Advalidation to test your ads we'd love to show you how it works.